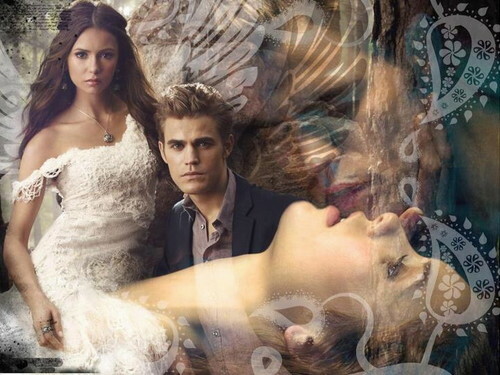 Elena & Stefan. . HD Wallpaper and background images in the el diario de los vampiros club tagged: the vampire diaries. This el diario de los vampiros wallpaper might contain abattoir, butchery, shambles, and slaughterhouse.